Updated Version at New Location. 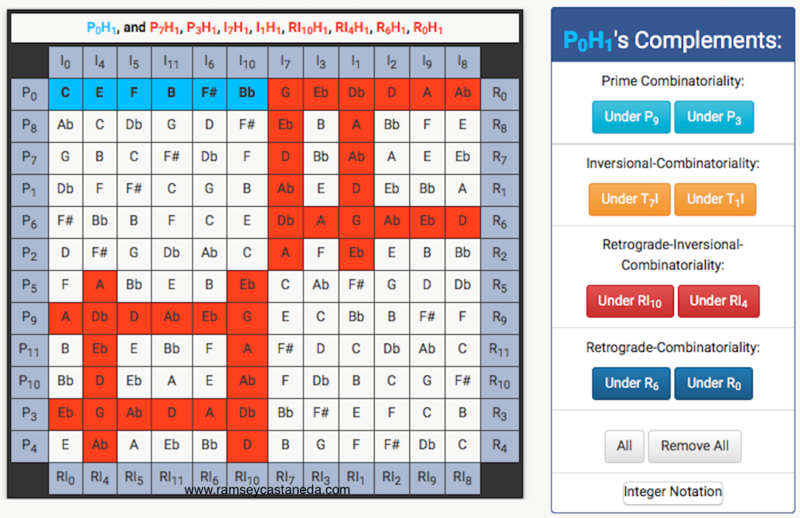 There's an updated version of the 12-tone matrix generator, now hosted at it's own website, music-theory-practice.com. Click here to go to the updated Random 12-tone Matrix Generator. See the matrix sorted by "C"
Hover over the matrix border (i.e. 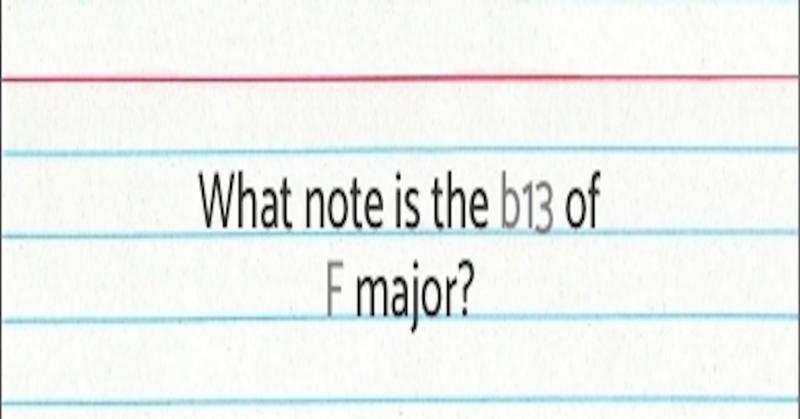 P4) to see that row or column notated! Note: Note: the staff notation may utilize enharmoincs (i.e. though Db may be displayed in the matrix a C# may appear on the staff). Also, accidentals do not carry through. Based on a paper I wrote in 2015 on Milton Babbit's composition All Set, which is based all-combinatorial hexachords. Emphasis on the second-order all-combinatorial hexachord. Use this app to calculate and graph interval class vectors. 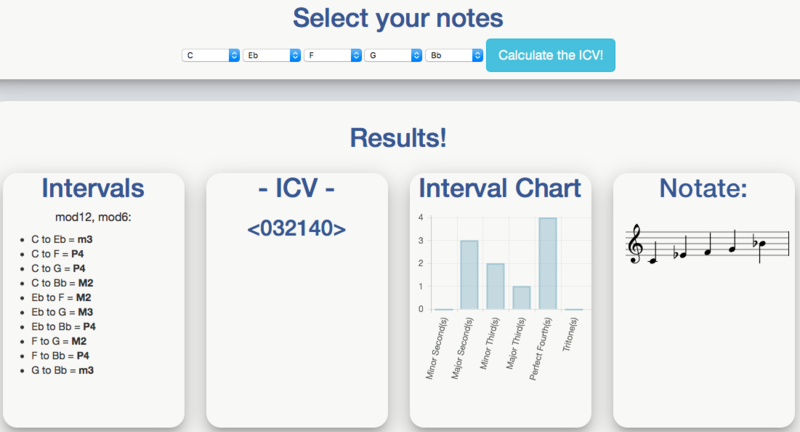 Also included is an interactive tutorial on how to find an ICV on your own. I created this game to help my students increase the speed at which they recognize scale degrees of any tonal center. Great for composition and improvisation practice! Use this app to generate random chord progressions. Options include root progressions (no chord quality), major progressions, dom7 progressions, and completely random progressions that utilize all chord qualities.